Welcome to Bodner Angus. 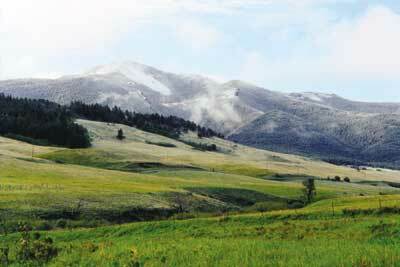 We are located in central Montana, east of Great Falls. A lot of changes have occurred since my grandfather came here in the late 1800s and since I graduated from Montana State College - barbwire fences, electricity, computers, and 50k DNA testing and great Angus cattle. Some things haven't changed - dedication to family and friends and the desire to improve the land while it's under our stewardship. We started our registered herd with bred heifers from Rollin' Rock and later added a few females from other breeders. Mostly our cow herd comes from within herd selection. We also have an extensive artificial insemination program to increase the progeny of our herd sires and to add the service of those that will continue our breeding program. Our cows have to function in a no frills environment and sometimes harsh conditions. They summer above 5,000 feet and the winters can be tough. They have found their way into other purebred herds scattered across this great country and have performed well. You might not know us, but you might have heard of a few of our bulls - HA Image Maker 0415, AAR Ten X 7008 SA, BA Sterling 2001, HA Top Flight 2314, leased to Accelerated Genetics and ABS. We have sold bulls with Rollin' Rock for 25 years and now we are proud to be associated with Rollin' Rock Genetic Partners with the addition of Raymond and Son, Inc. and Botts Angus Ranch. I have been more than impressed by their enthusiasm, knowledge, and the desire to do things right. They are an outstanding crew. You will enjoy them. Feel free to stop by and look at cattle. Copyright © 2001 Angus Productions, Inc.